Kellogg’s challenged artist Dominic Wilcox to make breakfast time more fun and interesting for families and children going back to school. Florian Dussopt worked with Dominic Wilcox to develop these ideas into real interactive objects. 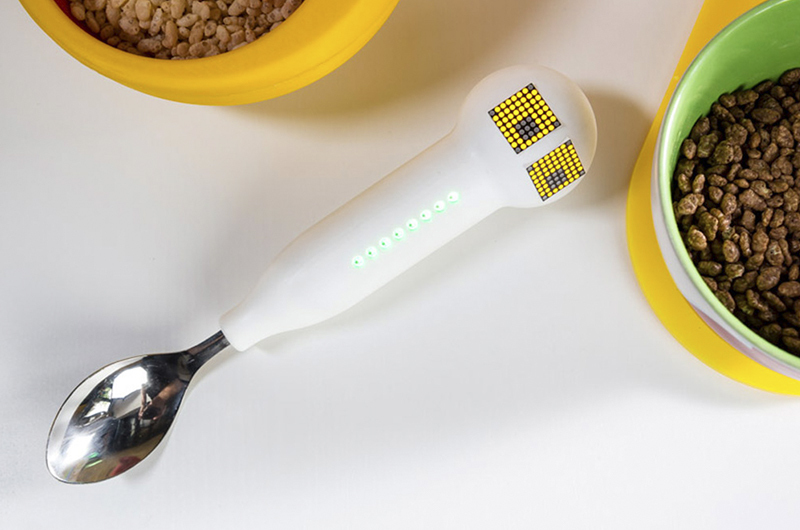 A spoon that appears to wake up with every spoonful. Once you and your spoon are fully energised you can carry your spoon with you all day. 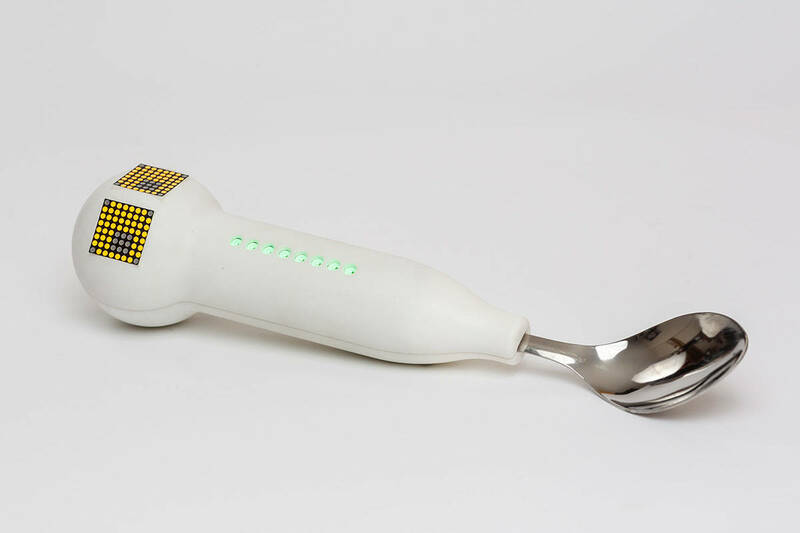 Over the course of 4 hours the robot spoon gradually goes back to sleep, letting you know it’s time to boost your energy again.